Add more value to the products you are trading and make your brand a better known and requested one on the market, with custom tags featuring an exceptional design, plastic seals and printed textile labels, which can be embroidered with your own name or trademark as well. 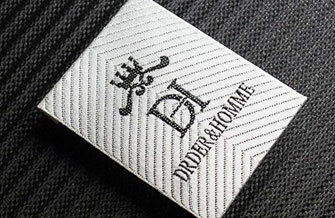 If you are a producer, importer or reseller under your own brand of textiles, footwear, bags, jewelry or other type of products as well and you wish to bring a add a big plus to the image of your brand or to stand out among your main competitors and you wish to significantly increase your client number – choose the high quality custom labels! We offer you complete solutions for the professional labeling of your products, starting from the graphic design and ending with the supply of quality labels, featuring an original design and a very good price! 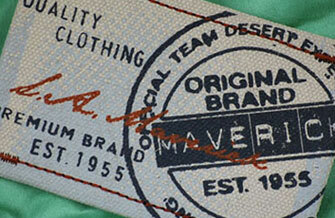 On our website you will find a few examples of labels, kindly offered to our customers, who enjoy our full commitment. A quality label, from the first contact the client has with it, renders the quality and the originality of the product and in the long run, the market recognition, while the brand is being recommended to other potential clients! 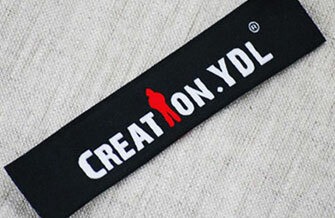 If you already have your own labels, customized exactly the way you wanted them, but you wish the image of your brand and the quality of your products to reach even more your clients, you can choose the option providing even a stronger impact of the image of the products you are offering – custom labels, attached with plastic seals, which can be customized as well. 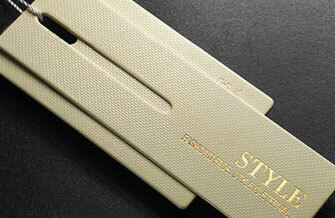 Of course, there are ordinary label attachment solutions as well, such as the thread or the classic tag attacher gun, but the impact on the client is extremely different. A plastic custom seal, attached to a product, renders the originality of your brand to the client, the quality of the entire product; consequently, your brand becomes more and more known and requested and the sales grow. We can manufacture the plastic seals exactly the way you want them, we will take care of the graphics, the computerized simulation and in spite of the first impressions regarding the costs – we will surprise you with an extraordinary good final price, practically, an imperceptible price per piece! 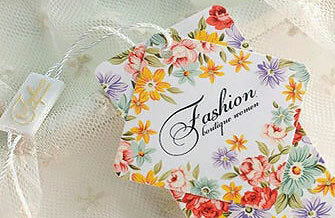 Besides the aspects described above, you certainly need the textile labels attached to each product, on which your brand is represented in the best way possible, but also other types of textile labels, on which, other information is specified, such as: the size of the product, the composition of the material, the wash and care instructions, the country of origin etc. 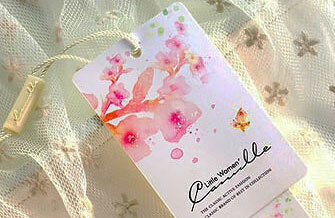 We manufacture 2 kinds of textile labels: printed labels and woven labels. 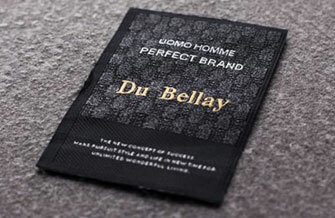 Although we offer extraordinary good prices, the difference between the types of labels can be seen in the prices, but also in the quality, the lifetime, its wear/wash resistance… In other words, the woven labels are much more resistant. 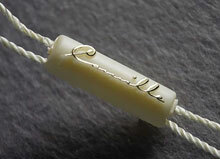 Many time, the solution chosen is a combination of textile labeling, such as: the woven label bearing the brand’s name or logo and the printed labels bearing information regarding the care, the material composition and the size of the product. 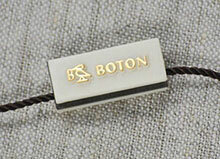 Both types of textile labels can be made on various textile supports, such as: satin, polyester, nylon, cotton etc. 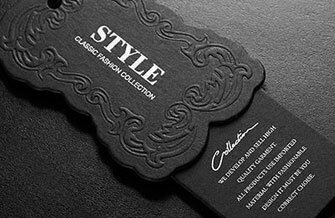 For the manufacturing of printed and woven textile labels, we use leading-edge computerized technologies and we can make labels, no matter their complexity. We can design and provide you with practical solutions regarding what you need! 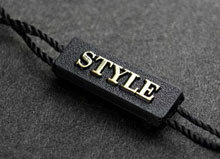 Our company offers complete solutions for the labeling of the various textiles, mainly clothing, footwear and other products as well, such as jewelry, linen, mattresses, carpets, furniture etc., customized to the client’s requests, starting with the design and graphic simulation and ending with the supply of the final products. We perform any kind of projects, no matter how complex and we provide high quality products, at an exceptional price! If you need more product types (for instance paperboard labels, plastic seals and embroidered labels), we recommend you to group them in a single order, so that the cost of the transport is calculated for a single order. If you are interested and you wish to order one or more products featured by our website, but you don’t have the graphics or the solutions for making the graphic project – you don’t have to worry, we will take care of the graphics and design, for free! If you want to get a price quotation, please fill in the form below. In about 24 hours, you will get an answer.